In general, LASIK is one of the safest and most effective surgical procedures in all of medicine, especially when it is performed by an eye surgeon with the experience, skill, and training of Dr. Sonny Goel. Dr. Goel has been performing LASIK since 1997, during which time he has completed more than 70,000 procedures. His impressive record of success and patient satisfaction has earned him the distinction of being considered one of the finest LASIK surgeons in the United States. Nevertheless, as with any surgery, there are side effects and risks associated with LASIK. No surgery is risk-free, even when it is performed by an accomplished surgeon. 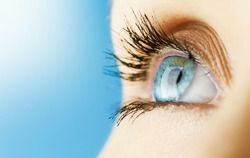 This is why Dr. Goel takes the time to discuss these possible risks and side effects with patients before they commit to undergoing LASIK surgery at his practice in Baltimore. LASIK pain is one of the potential risks that are discussed in detail. ​​​​​​​Because Dr. Goel performs LASIK using the most advanced techniques and technologies available, coupled with his nearly two decades of experience and abundant surgical skill, post-operative pain is rare among his LASIK patients. However, it remains a possibility. It is important for patients to realize that some minor discomfort is to be expected after LASIK surgery. Some patients do experience some mild itching and soreness, while others experience a slight, nagging burning sensation. Most commonly, patients feel as though there is a foreign object in their eye. These side effects are generally temporary and often subside within days, if not hours. Severe pain, on the other hand, is extremely rare. The most common cause of post-operative LASIK pain is dislocation of the flap created in the outermost layer of the cornea at the beginning of surgery, which mostly occurs during the first 24 hours after surgery. Far less common is a condition called corneal neuralgia, in which the eye looks perfectly normal and healthy upon even close examination with a slit lamp, but the patient experiences sometimes excruciating pain along the corneal nerves. This latter condition is extraordinarily rare. The minor discomfort associated with LASIK can usually be managed quite easily with over-the-counter or prescription medication and liberal use of artificial tears. Antibiotics should be taken as directed to minimize the risk of infection. If the corneal flap does become displaced, it is important that you contact our office immediately. Repositioning of the flap is a fairly simple procedure, but it should be done within 24 hours of displacement to ensure that no growth of cells occurs under the flap and that no striae (wrinkles) occur in the flap itself. In cases of corneal neuralgia, a special, multidisciplinary treatment plan usually becomes necessary. The surest way to prevent the occurrence of this rare condition is careful screening of patients. Dr. Goel is meticulous in his screening process in order to make sure that only the most suitable candidates for LASIK are permitted to undergo the procedure. To schedule your initial LASIK consultation with Dr. Sonny Goel, please contact our laser vision correction center today.